Vintage film channel Talking Pictures TV will be available to viewers of Belfast's local TV station NVTV from December. The deal will see Talking Pictures TV broadcast on NVTV every day between 6:00am and 4:00pm on Freeview Channel 7 and Virgin Channel 159 in the city. The agreement was brokered on behalf of the channel by its media sales agency Media15. The announcement follows similar simulcast agreements Talking Pictures TV signed earlier this year with two other Local TV Channels; Latest TV in Brighton and Bay TV in Swansea. Talking Pictures TV is also carried on Freeview channel 81 in many areas for viewers with a DVB-T2 compatible Freeview receiver, such as those compatible with Freeview HD, Freeview Play, YouView or EE TV. The deals with Latest TV Brighton and Bay TV Swansea enabled Talking Pictures to reach areas its Freeview signal doesn't currently reach. In Belfast, Talking Pictures TV is already carried on channel 81 via the Divis transmitter for viewers with the aforementioned DVB-T2 compatible receivers, but the move by NVTV to simulcast output will enable Belfast viewers with ordinary Freeview receivers to watch the classic cinema channel for the first time. The NVTV simulcast will also be the only way Virgin Media viewers in the Belfast area can access Talking Pictures TV. Since launching last year Talking Pictures TV has rapidly grown its audience and now attracts nearly 200,000 viewers every day. 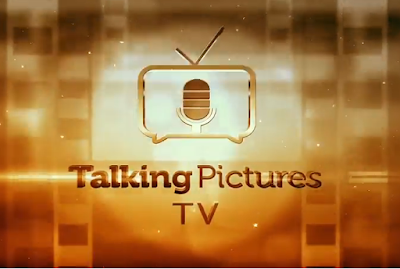 Viewers can also watch Talking Pictures on Sky 343 or Freesat 306. I do think the local channels need a sustaining national service they can partner with but a vintage movie channel doesn't really seem a decent fit. Community Channel would be better. Its a great channel Talking Pictures TV and some great classic tv and movies that you rarely see on the other channels. Its a pity the Bonanza channel gave up on classic tv and mutated into a boring Showbiz channel stuck in limbo.They too could have grown their viewers like the ongoing success of Talking Pictures TV.